Call 773-304-2077 to schedule your first appointment. We'll help you find your hearing aid match in order to minimize the risk for any potential problems that arise from ignoring your hearing loss, including Alzheimer’s and depression. Custom-designed products like those with our GENIUS™ Technology come with the latest in innovations, and most of our hearing solutions include a limited three-year warranty **. We have over 1300 locations nationwide, so it's easy to come to your local hearing aid center and take advantage of free center visits. If you live in the Chicago, Harwood Heights, Oak Park, Elmwood Park, or Lincolnwood area, we’d love to tell you more about how we can be your hearing aid partner for life. When you come to our Miracle-Ear hearing aid center, you’ll be able to discover and experience the Miracle-Ear® advantage. Give us a call today to learn more about how you can find your way to better hearing. I graduated with a Bachelors in Speech and Hearing Sciences from The Ohio State University and have been a licensed hearing instrument specialist in the state of Illinois for the past 2 years. 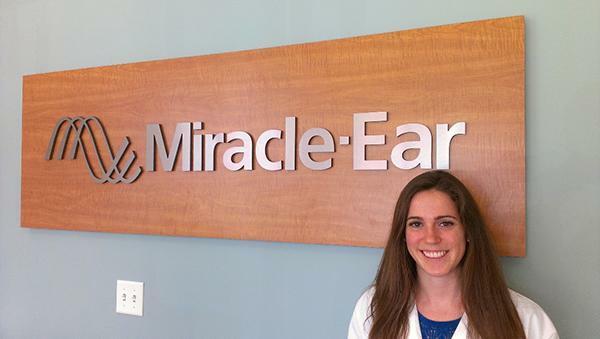 I came to work for Miracle-Ear after completing my degree and have worked here for 2.5 years. I received my Bachelors in Speech and Hearing Sciences from The Ohio State University, am Board Certified as a Hearing Instrument Specialist in the State of Illinois, International Hearing Society Member, LMS Certified and completely the Miracle-Ear 2016 Product Training. I love getting the opportunity to change people's lives each and every day!